I've got a question for a school project i'm just working on. I've already created an object ( rect ) and I want that rect to moves to an given coordinate with an animation. There are lots of different ways to do that, depending on what you are trying to model. Is the rect meant to represent a physical body with mass, momentum, velocity? Do you want it to speed up and slow down smoothly at the beginning and end of the movement? Does it have a maximum speed? Can you show us what you have so far? I try to make a "connect four" or however you call it ( four in a row ) game where the stones should fall down in the row you tap on. The game is closely done, so I don't want to add physics now XD. @hallomio77 Look at what I have here and find what you need. I must confess I got a bit carried away here. I have my procrastination hat on. 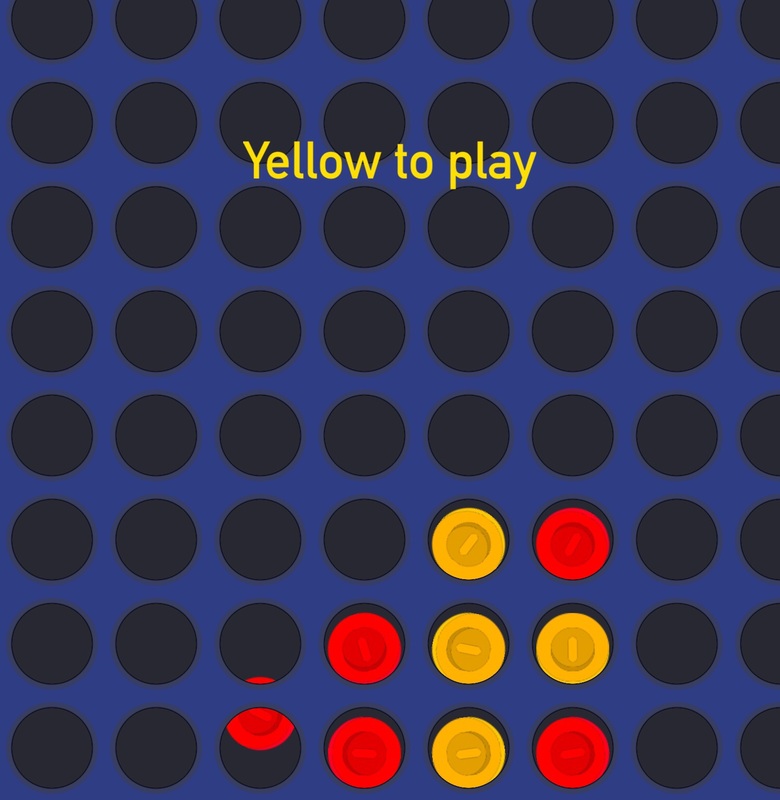 Here is a complete connect4 game, pass-and-play, with realistic animation, game state management, a win animation, a notification system, and recursive win-state checking that can detect even if the winning tile is placed in the middle of the line. And all in just 210 lines! Man I love Codea. Anyone want to add AI to this? note = colNames[c].." is\nthe WINNER!" note = "Tap anywhere\nto restart"
if lev==1 then --first iteration? elseif lev<10 then --reverse direction (once only). This is to catch cases where a line of 4 is completed by a tile in the middle of the line. Not the most efficient way to do this, but the easiest to code.